Aish's Intermediate program is for someone who is more than just a little interested in Judaism and wants to really sink their teeth into learning. Intermediate classes could be called college style, with semester long classes in a lecture environment. Classes are small and intimate and include Growth Through Torah, Tanach, Jewish Philosophy, and Hebrew Ulpan. 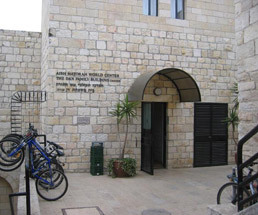 Bircas HaTorah caters to English speaking men of all ages and levels and is located in an ultra modern Beis Midrash (study hall) in the Old City of Jerusalem. Rabbi Shimon Green is the Rosh Yeshiva and has developed a special methodology of teaching which enables every man to truly explore the depths and spirit of the Torah. A program for English speaking college graduates and professionals providing instruction in the development of textual skills, coupled with responsible guidance towards true spiritual and personal growth. In addition to Gemara, classes include Hebrew language, Jewish Philosophy, Mussar, Halacha, Chumash, Tefillah and Chassidut. Program includes: dormitory, full meal plan, tiyulim, shabbatonim and many special activities. 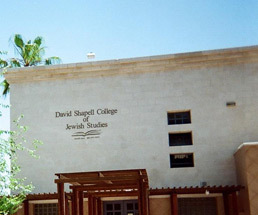 One former student wrote, "Shapell's is a yeshiva that places a heavy emphasis on skills building, with and eight level Gemara program. The educators vary in hashkafa, which allows students to connect with whichever hashkafa speaks to them most. Students come from all over the world and the general age range is 20 ' 30." The "right" type of student for Machon Meir is college aged, motivated, and open minded to a Torah Zionist philosophy. The yeshiva is definitely suited to those students who are considering Aliyah. It is well suited to those students desiring to learn Hebrew and be in an Israeli environment. Machon Meir offer classes ranging from Introduction to Judaism to Advanced Talmud. Other classes include Jewish Philosophy, Tanach, Rabbi Kook, Halacha and Hebrew. Machon Meir offers full room and board. The average student at Machon Shlomo is a young man in college or a young man who is a post-college professional and has little formal Jewish education. Our program enables young adults to develop skills and insights so that they can grapple with a wide range of Jewish texts. Together we will explore the worlds of Talmud, Chumash, Philosophy and Mussar in an integrated manner. Our rabbinic staff is an exciting mesh of diverse personalities with distinct teaching styles and approaches to Torah. Included amongst our staff are some of the greatest scholars in the world, who are dedicated to nurturing each individual student and provide personal attention to our select student body. At Machon Shlomo, we have found that by directing students to look deeply into the Torah and themselves they become empowered to live lives that resonate with truth, grandeur and joy. Our goal is not just to teach students how to learn, but to teach students how to live and grow as sons of Torah. Students generally live on campus, where housing and meals are provided. With annual admissions to the first-year program limited to about 18 students, Machon Yaakov is highly selective. Our typical student is a young man, college or grad-school graduate, between the ages of 21-30 (with exceptions made on an individual basis) with limited or no formal jewish education, a strong academic background, maturity, good character, seriousness and a real desire to grow spiritually, intellectually and as a person. Machon Yaakov is for the student that realizes he may have only 1-2 years to learn Torah intensively before going to (or back to) his career or further education. With 16 world-class teachers for about 30 students, a fully renovated facility and healthy food, and a broad-based academic program, Machon Yaakov offers a powerful environment for growth for motivated students. All meals and housing are provided, there is a basketball court and gym, and there is a student lounge with wireless internet. Yeshiva Bat Ayin is geared toward mature students who have a desire to integrate an honest and intense spiritual life with involvement in the modern world. Most students are in their mid-20's to early 30's, but we have accepted students as young as 18, and there are usually a few older students. A Smicha program for those looking to study to be a Rabbi. Simchat Shlomo is a Chassidish yeshiva located in the Nachloat neighborhood of Jerusalem. "Inspired by Rabbi Shlomo Carlebach, Yeshivat Simchat Shlomo, is a place of spiritual growth for both men and women, respecting each person's background and individual path. Although Simchat Shlomo offers both part-time and full-time learning options, students have to provide their own food and housing.